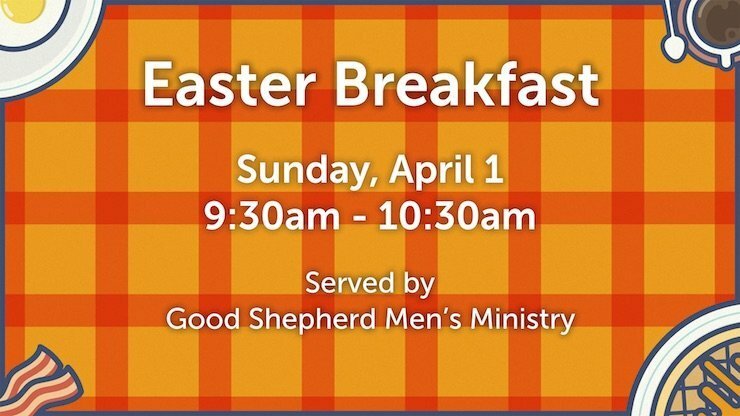 Join us Easter Morning for breakfast served by our Men’s Ministry in the Good Shepherd Fellowship Hall. Breakfast will be served starting at 9:30am and will be served until 10:30am. There is no cost for the breakfast, but there will be a freewill offering.